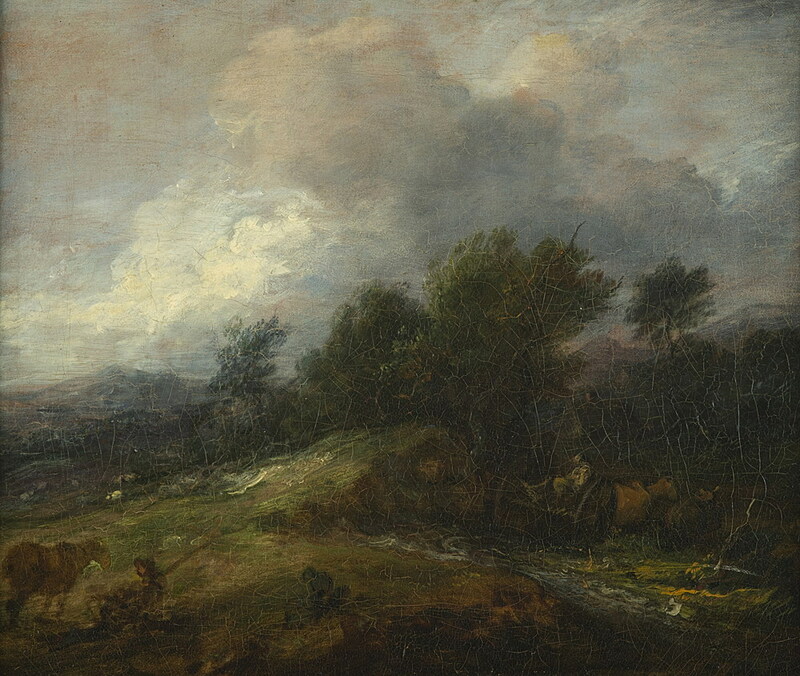 · Thomas Gainsborough, “A Market Cart,” ca. 1786, Oil on canvas, MMAC Permanent Collection, gift from the Trustees of the Corcoran Gallery of Art (William A. Clark Collection). Eight pieces of artwork from the estate of a Montana “Copper King” will go on view publicly Thursday, Oct. 4, when “The William A. Clark Collection: A Homecoming” exhibition opens at the Montana Museum of Art & Culture at the University of Montana. The opening reception will be held from 3 to 6 p.m. Thursday in the Performing Arts/Radio Television Center lobby. The works will be on display through June 15, 2019. The exhibition also will feature programs highlighting the life and times of Clark. 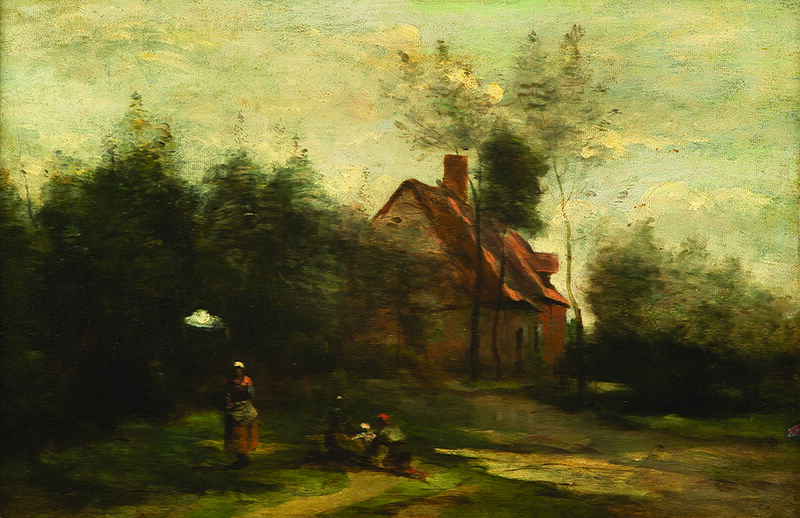 The works from famous painters – including Jean-Baptiste-Camille Corot, Jean-Charles Cazin, Jules Dupré, Jean-Honoré Fragonard, Thomas Gainsborough and a sculpture attributed to Donatello – recently were acquired and are now part of the Montana Museum of Art & Culture’s Permanent Collection. They once belonged to the estate of Clark, a former Montana senator with expensive taste and the wealth to satisfy it. Born to Scotch-Irish parents in Pennsylvania in 1839, he eventually made his way out West, working the roles of farmer, teacher, soldier, prospector, woodcutter, teamster, cattle driver, grocer, mining engineer, banker and eventually a real estate tycoon and railroad magnate. When he died in 1925, his fortune was estimated at more than $200 million – equivalent to nearly $3 billion in contemporary terms. The collection included almost 200 paintings, plus sculptures, tapestries, rugs, antiquities, stained-glass windows and a Louis XVI-era salon. Using funds donated by the Clark family, Architect Charles Platt designed a new wing for the Corcoran to house the collection. The Clark Wing was completed and opened to the public in 1928. Jean-Baptiste-Camille Corot, “The Pond,” undated, Oil on canvas, MMAC Permanent Collection, gift from the Trustees of the Corcoran Gallery of Art (William A. Clark Collection). The National Gallery of Art received the largest donation at 8,596 pieces, and the NGA was tasked with distributing the balance of the works they did not take into their own collection to other institutions, mostly in the D.C. area. However, an exception was made for a few important pieces to transfer to Montana and into the Permanent Collection of UM’s MMAC. MMAC received three paintings by Jean-Baptiste-Camille Corot, two by Jean-Charles Cazin, one by Jules Dupré, one by Jean-Honoré Fragonard, one by Thomas Gainsborough and a sculpture attributed to Donatello. Eight of the nine pieces MMAC received will be on display in this inaugural exhibition. The ninth piece is being sent to Seattle for conservation repairs and will rejoin the Permanent Collection when the work is complete. MMAC Director Barbara Koostra said the museum is proud to steward these important pieces and that important supporters already are offering funding for preservation of the pieces. MMAC is home to more than 11,000 works of art. An international collection, it belongs to all Montanans. MMAC’s academic year gallery hours are from noon to 3 p.m. Tuesday, Wednesday and Saturday and from noon to 6 p.m. Thursday and Friday. The museum is closed Sunday, Monday and UM holidays. The museum is open to the public with a suggested $5 donation. For more information call 406-243-2019 or visit http://www.umt.edu/montanamuseum/.